The Pyramid coffee table 51 was designed in the 1950s by Wim Rietveld and has now been reedited as part of the Pyramid collection by Hay together with the original manufacturer Ahrend. To this day, the small table has lost none of its charm. For many Dutch people, this collection is particularly close to the heart. In the sixties and seventies, schools were equipped with the chairs and tables from this series due to their functional design. Therefore, many nostalgic memories connect their school days with this piece of furniture. 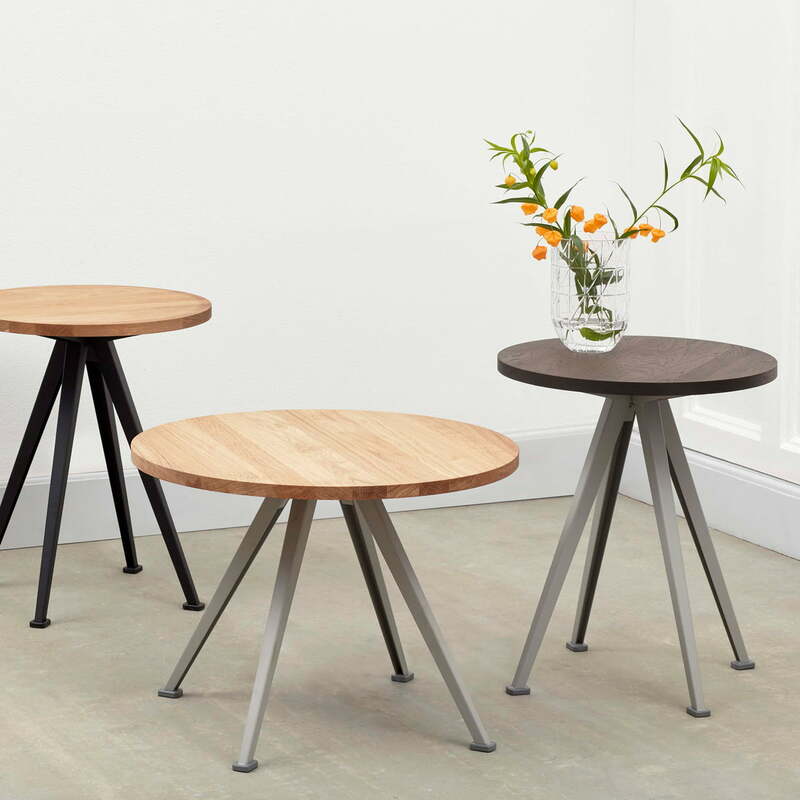 The design of the Pyramid coffee table 51 stands out because of its rustic style: The star-shaped, almost pyramid-like frame made from powder-coated steel adds an industrial touch. 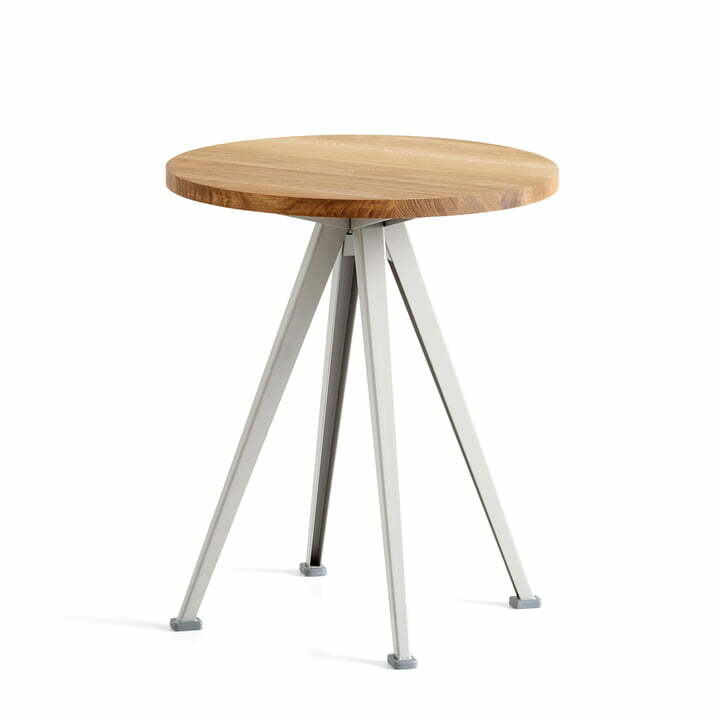 The base is complemented by a round tabletop made from oak, that provides natural warmth with its visible grain as well as being a stunning contrast to the cool material. The Pyramid coffee table 51 can serve as a coffee table by the sofa on which snack and drinks can be comfortably kept within reach, or as a side table by the bed. The coffee table is available in a variety of coloured bases, oak wood variations and diametres. Isolated product image of the Hay - Pyramid coffee table 51, matt lacquered oak / beige. The Pyramid coffee table 51 was designed in the 1950s by Wim Rietveld and has now been reedited as part of the Pyramid collection by Hay together with the original manufacturer Ahrend. 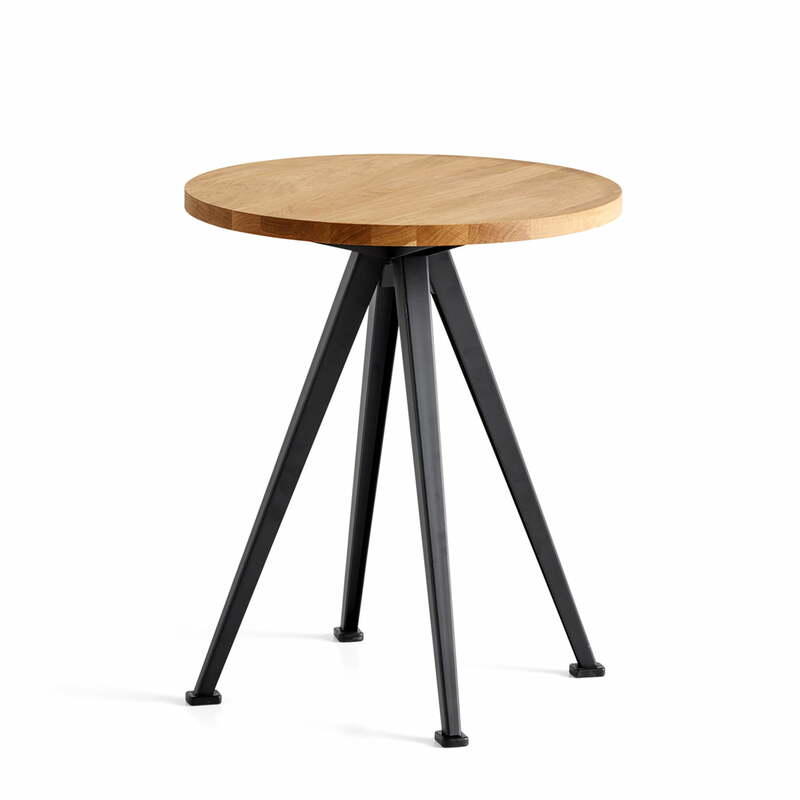 Isolated product image of the Hay - Pyramid coffee table 51, Ø 45.5 cm, matt lacquered oak / black. The tabletop is made of oak and introduces warm accents thanks to its visible grain. Group product image of the Hay - Pyramid Coffee 51. 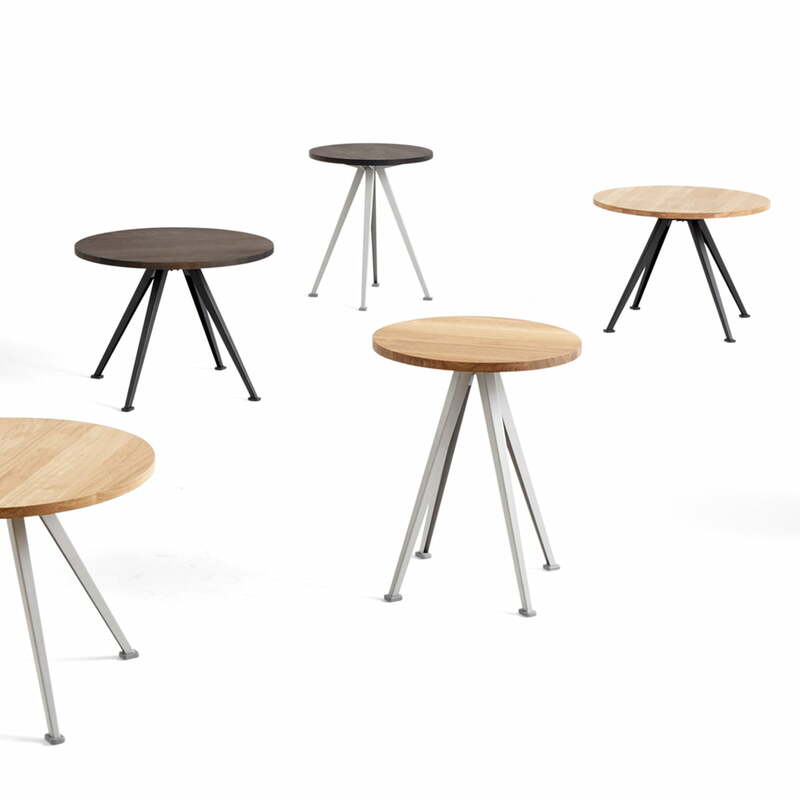 Available in various colours and sizes, several different tables can be wonderfully combined with one another. Lifestyle product image of the lifestyle product image of the Hay - Pyramid Coffee 51. The Coffee Table is available in different coloured bases, different oak wood variations and a choice of diametres.